First Step Sports Development | Join us for more FREE sports this Spring! Join us for more FREE sports this Spring! Starting the week commencing the 11th April we’re pleased to say that our ongoing Active Wyke project ran in partnership with Hull City Council’s Wyke Area team & Active Hull will be launching 2 new sessions as well as relocating 1 existing session! Our existing Walking Football session for those aged 35+ will be moving to Pearson Park, running from 6-7pm every Monday night. Also launching in Pearson Park is our 2 new sessions! The first is an open to all ages Rounder’s session, which will run every Wednesday night from 6:30-8pm – so if Rounder’s is your thing come along and join us! It’s completely FREE to take part, all you have to do is fill in a simple form the first time you come. 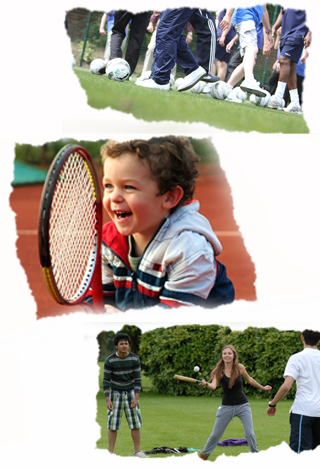 Our second session to be launching in Pearson Park will be our family Tennis, which will be taking place every Saturday morning from 10-11:30am. So again come along and join us, we’ve already got the nets, balls & rackets – now we just need the sporting super stars! So whether you love sport, want to get a little healthier or are looking for a reason to get the family out in the park – we’d love to have you come along and join us!